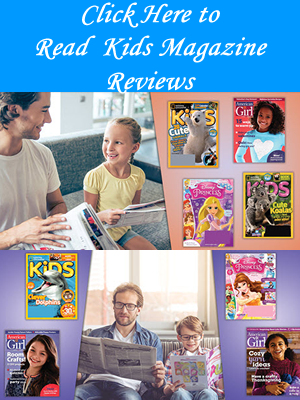 Becoming a Guest Blogger at More4kids can be very rewarding. 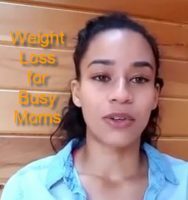 It lets you share and reach thousands of parents a month. More4kids had over 80,000 visitors over average over the last 2 months of 2016. We also promote over social media. Our Twitter following has over 14,000 followers with many verified accounts following us. It is a great way to get additional exposure for yourself, your organization, your website, or your book if you have one. Plus, as an added benefit we can link to your website, and 3 social media accounts such as linkedin, twitter or facebook. For an example visit this recent article and go to the end to see what our author bios look like: http://www.more4kids.info/5053/your-childs-winter-break-doesnt-have-to-break-you/ . If you are interested in being a More4kids.info expert, columnist, or guest blogger, we would love to hear from you! See our contact form down below. As a top Parenting site we offer parents information and resources on raising kids who care about themselves, the people around them, and their world. More4kids provides Publishers/Writers/Vloggers/Mreporters with an opportunity to gain additional exposure on our site. With thousands of parents visiting our site every month an article or video on our site can gain a lot of interest. Your bio will be included with each article, and if you have a website we will include that. For those with books that are available we will also help promote your book at the end of the article. We welcome anyone to become a guest blogger/vlogger. In order to provide the best exposure and to provide our visitors with highly informative articles, we take a thorough look at each article to make sure it meets our high quality standards. 1) Articles must be at least 500 words in length. 2) You must provide a bio with your real name and picture of yourself. This is important so our writers can relate to a real person. The integrity of our articles are very important and this will help promote you as a professional writer. 3) Articles/Videos must be unique and cannot be a reprinted or republished article. However, you may republish the article after it has been published on our site. This is to give our readers the best information and help promote our writers in the best way possible. 4) Articles must be informative and cannot be a pitch or sales type letter for a website/newsletter or product. Such articles will be rejected immediately. 5) Articles must be family related. We are a parenting website so articles related to children, parenting, pregnancy, child health, child safety, education, and baby development are the types of articles accepted. The articles can be commentary, or real news articles and interviews. For Interviews please have a release signed and a release for any pictures taken. 6) Pictures are optional. You agree that all submitted pictures become the content/property of More4kids International. and that any pictures submitted are not copyrighted. As part of our publishing process we will normally provide what we feel is a relevant picture with the article if the author does not provide one. 7) All quotes/references must be noted in the articles along with links if a website is referenced. 8) You agree that all content submitted, articles/videos etc become the property of More4kids International. However, the author will have republishing rights after it has been published on our website www.more4kids.info. You also agree to allow More4kids Inc. to make minor editing to all articles/videos, and give More4kids Inc. permission to host the videos on a 3rd party website. For those intested in videos, contact us and we can go through the detail. 9) With Vidoes that are submitted we strongly encourage a couple paragraphs written about the content of the video. 10) For videos short how-to’s 3 to 5 mins work best. Areas of interest are parenting, craft or cooking related, anything related to kids. 11) Mreporters – This can be a writter/blogger. An Mreporter (More4kids reporter) submits news from their local community. It can be any topic as long as it is family and children related. If the article includes an interview please provide the full name and the contact person for the person being interviewed and have them realize their interview will appear on www.more4kids.info. 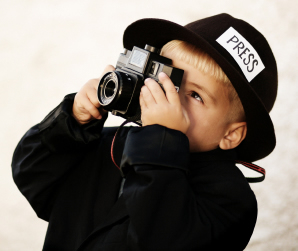 Mreporters can also be those under 18 with their parents permission. As a new initiative in 2017 we would like to encourage high school students to apply as an Mreporter to give them journalistic experience and exposure. 12) Finally, you agree that no monetary or other compensation is to be given for the content/articles/videos submitted. The intent is to provide opportunities for greater exposure and to help others that may have an interest in the material submitted. Our goal is to help build better and stronger families through information. Use the contact form below. Include your name, email and phone contact number. Also include a brief description of the content you wish to publish on More4kids. We will review your request and you will be contacted with information on how to submit the content to us.